The path of devotion is an easy path. 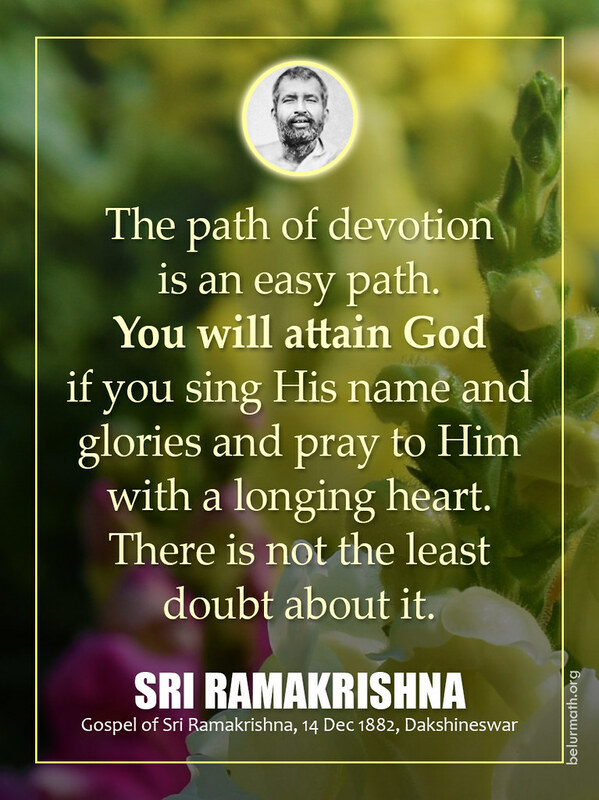 You will attain God if you sing His name and glories and pray to Him with a longing heart. There is not the least doubt about it.